John Kennedy started his music career in Brisbane in the 1980’s with his first band JFK and the Cuban Crisis. With his new work “JFK and the Midlife Crisis”, John comes full circle, creating a music that relates the story of a mature Inner West musician reflecting on a life lived to an independent music soundtrack. The narrator of the songs looks back in equal parts with fondness and regret, over the life of an independent musician negotiating the twists and turns of love, loss, marriage, divorce, family and friends. New songs, From St Peters To Kings Cross and Strawberry Hills Forever continue John's love affair with Sydney's Inner West suburbs and sit well with his earlier hits, Miracle (in Marrickville) and King Street. 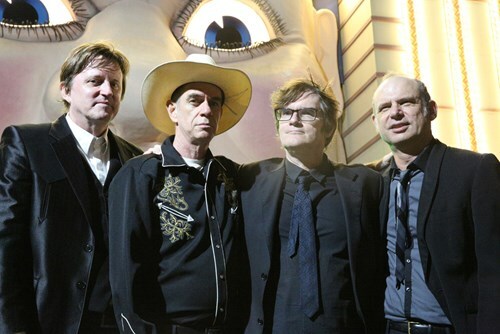 The band “John Kennedy's 68 Comeback Special” features original Love Gone Wrong drummer, Peter Timmerman, ex-Wiggle, Murray Cook on guitar and former Pop Mechanics' leader, Paul Scott on bass. The band will perform some of John's urban and western hits along with a selection of songs from his new album.